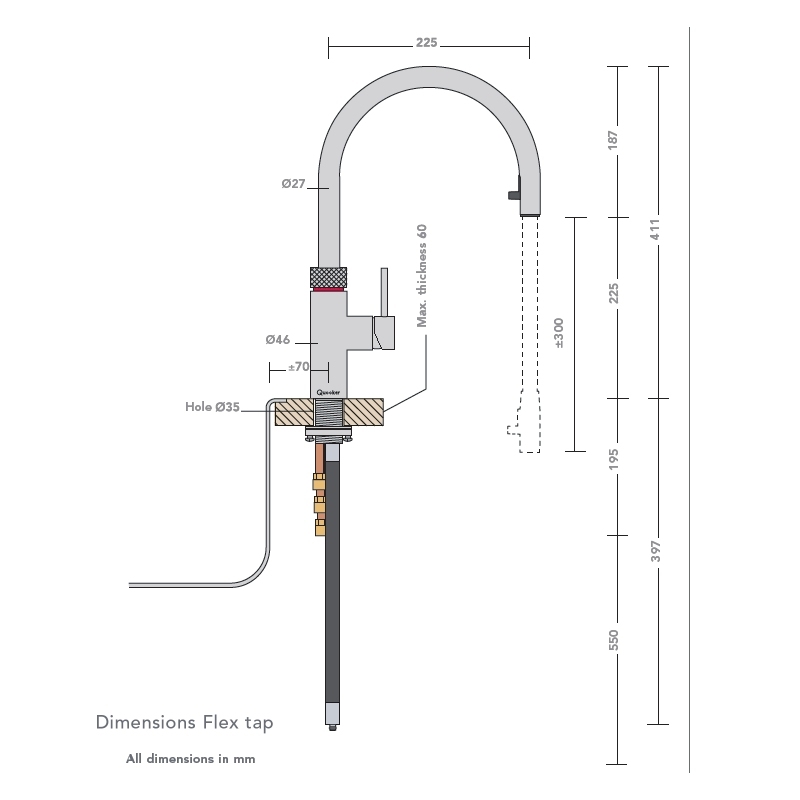 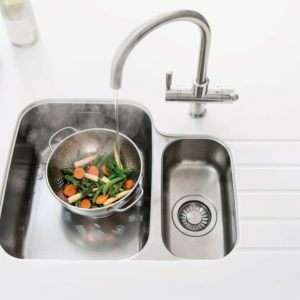 The Flex is the latest innovation from Quooker. 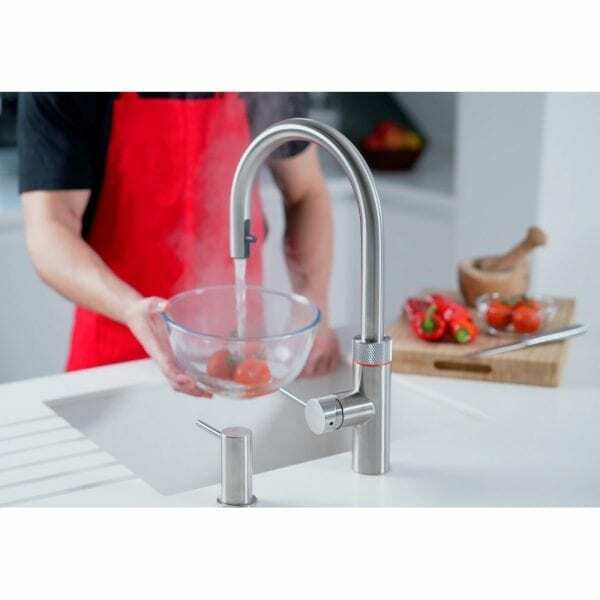 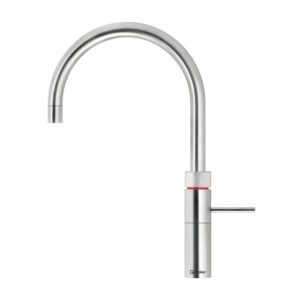 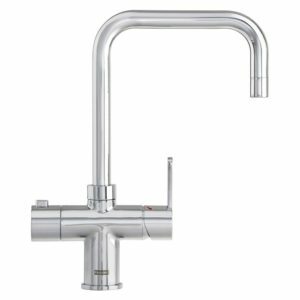 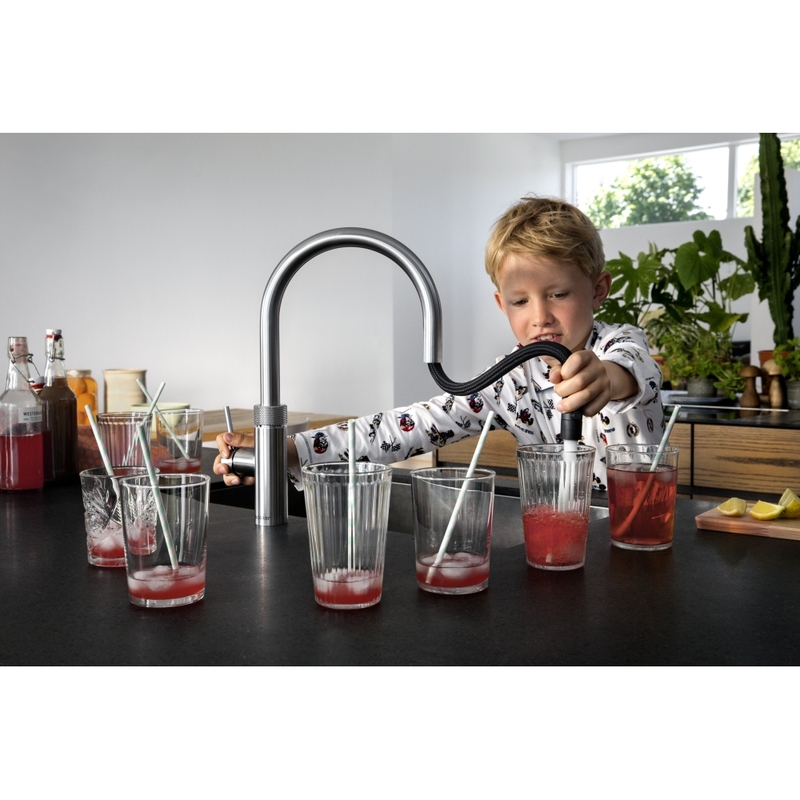 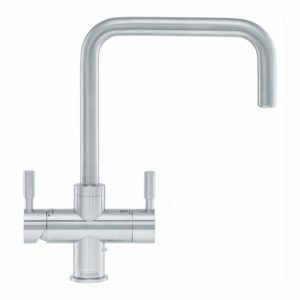 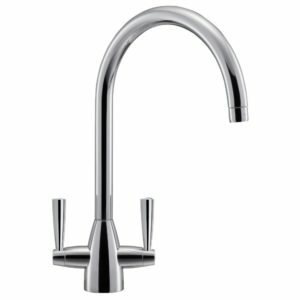 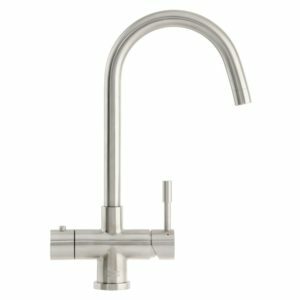 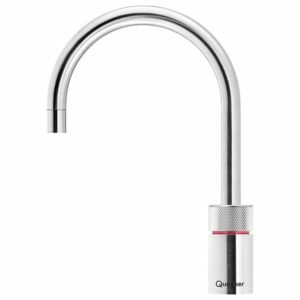 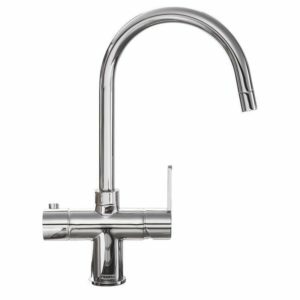 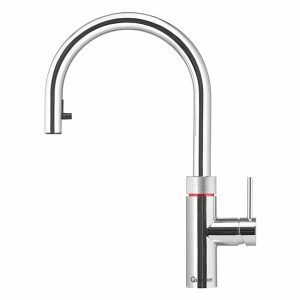 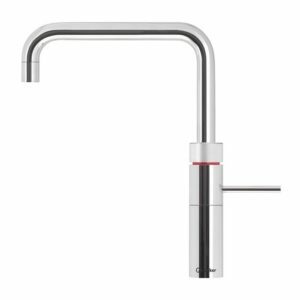 A boiling water tap, equipped with a flexible pull out hose for hot, cold and filtered cold water with the optional cold water filter kit. 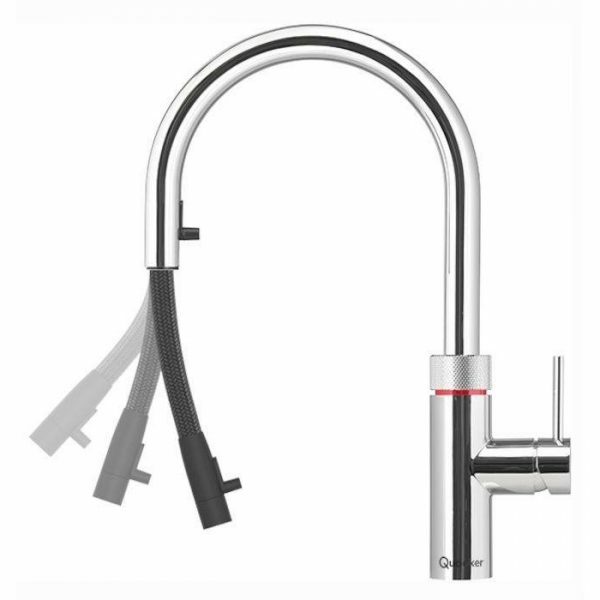 Thanks to the boiling-water stop, the Flex will not dispense boiling water when the pull out hose is pulled out. 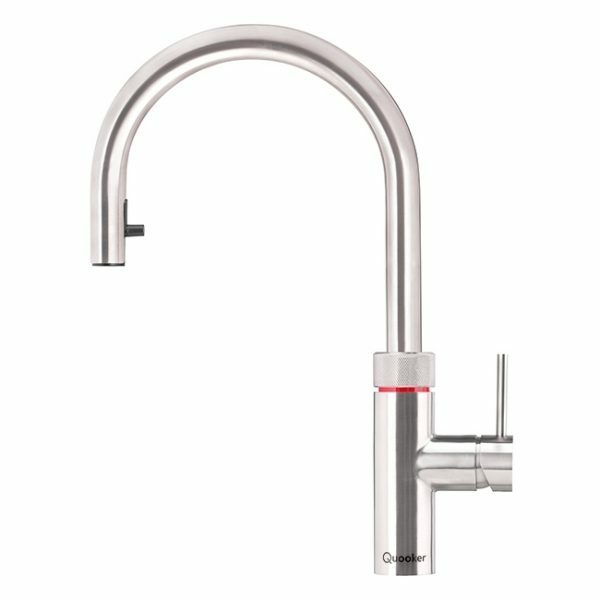 The insulated spout and fine aerated spray ensure no risk of scalding or burning. 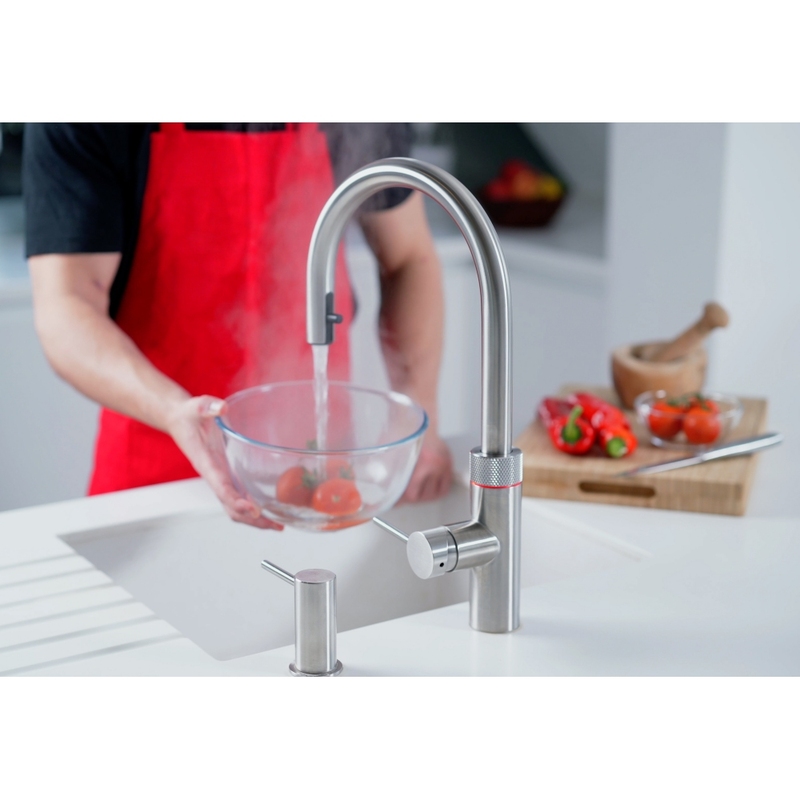 This model is finished in stainless steel with a three litre water tank.